The Fayette County Family YMCA will be hosting an “EGG-straordinary” evening of “EGG-citing” activities for families on Friday, April 26. The evening will provide kids an opportunity to “EGG-splore” for Easter eggs and for families to eat “EGG-ceptional” S’more popcorn, and enjoy an “EGG-cellent” showing of a movie in the YMCA gymnasium. The event is open to the public for $5 per person (free adult admission for each paying child) and includes the egg hunt, refreshments and movie. Easter egg hunt races begin at 6:30 p.m. and the movie will begin at 7:30 p.m. Pre-registration is required by Wednesday, April 24. The event is “EGG-actly” the right time to register for summer camp. Anyone who participates in the event and registers for summer camp at the event will receive a FREE camp survival kit. The kit includes sunscreen, beach towel, YMCA hat, sunglasses and a water bottle. The YMCA will be offering 11 weeks of summer day camp for children who have completed kindergarten through eighth grade starting May 28. YMCA day camp is a “Step Up To Quality” rated and ODJFS licensed program. Weekly tuition includes breakfast, lunch and afternoon snack. Campers will swim at the YMCA each week and participate in a special field trip or on-site activity. 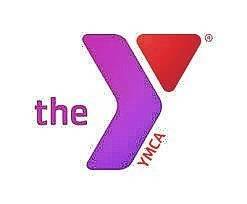 Kids may attend as early as 5:30 a.m. and picked up as late as 6:15 p.m.
For further information contact the YMCA at 740-335-0477 or visit faycoymca.org.